Time for an ENORMOUS announcement. I’ll let the video do the talking…which is a video of me…so I’ll just let me do the talking. Way to go Mike! So many of us just follow a path because it’s easy, or because we need to follow the norm, pushing aside our dreams and passions! You are an inspiration to us all. We wish you the best of luck in your endeavours. Can’t want wait to read more of your work!! Good for you, Mike! I also recently quit my day job and am now inspired to go beyond playing more video games. 😉 I wish you the best and look forward to checking out your book! Ton of respect. Your BookBub deal on your first MG novel led me to check out your author site. Have to give your book a chance now. Best of luck. Thanks, man. I really appreciate it. Hopefully BookBub helps get the word out. Doing what I can on my end. 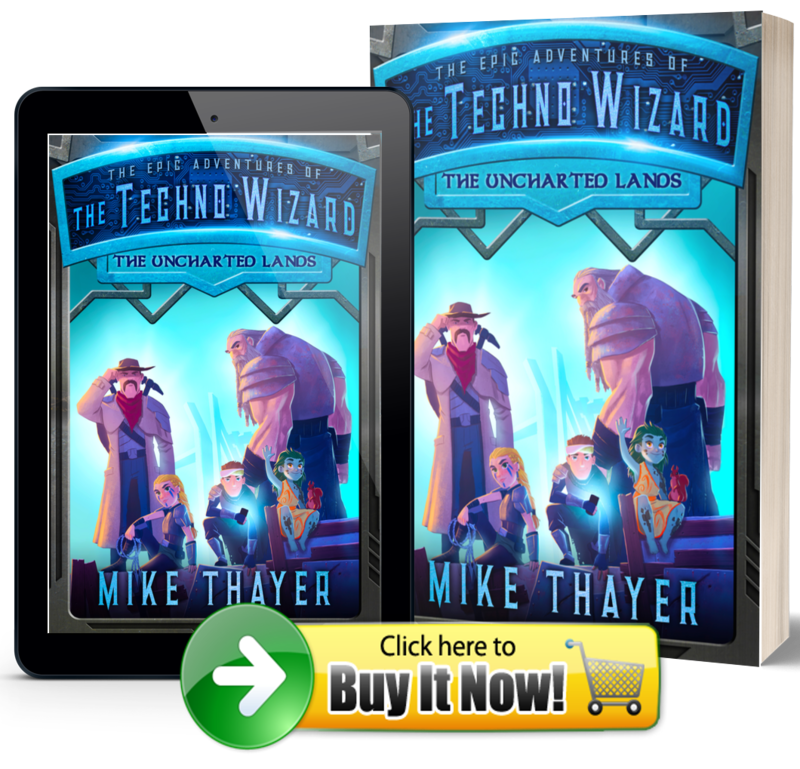 You can check out Techno Wizard related stuff at my book website: http://www.TheTechnoWizardBooks.com. Let me know what you think of Passage to Avalon!